Now that the endless “silver jubilee celebrations in Eritrea are over, and the epic trip of the torch that remained the only featured star on PFDJ’s media for about five months is over, I felt of sharing the following chapter, “The Liberator”, from my latest book “Miriam Was Here”. Consider it my way of expressing the human and heroic dimensions of the Eritrean liberation struggle, as opposed to the partisan peddling of “Liberation” as a propaganda vehicle by the totalitarian regime, not as a combined Eritrean national feat. 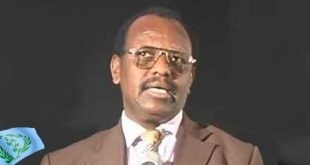 I invite you to retroactively follow Zerom when he entered Asmara on May 24, 1991, the date after which the brave combatant was betrayed by the PFDJ clique. In the early hours of the fourth day of the battles, Asmara fell to the rebels, but Zerom had no immediate family members in the capital city he helped liberate. His three brothers and his sister, fellow rebels, were not there to receive him; now he only had the combatants of his battalion for a family. The rebels had advanced so close they could see the buildings of Asmara from the surrounding hills. Zerom felt it was an unusually cold day for May as he looked through the mist and observed his old city, focusing on Forto Baldissera and wondering how the people coped with life in his absence. Since the port city of Massawa had fallen to the rebels a year earlier, the supply flow to the capital had been choked. Civilians survived on meager food smuggled from the countryside, while the army depended on Antonov military planes that brought them rations over an air bridge that connected Asmara with Addis Ababa, Ethiopia’s capital. The tense situation in Eritrea, and in their country, had made the few Russian military advisers who remained, fatalistic. They were shaken by the fast advance of the Eritrean rebel forces. The news coming from the Soviet Union didn’t help either, they were not sure if anything would be left of it when they returned home. Although the city didn’t go through war, the looks of the dilapidated buildings made it seem uglier. Under the overcast clouds, everything appeared grayer than it really was. The white traditional gabi cloth that the locals wrapped around themselves looked soiled and acquired a ting of brown shade. The mixture of fading khaki and green uniforms of the soldiers, and their vehicles, suppressed most other colors. It blended into the gray shade that overwhelmed the city. Only the color of the bright navy-blue attire of the ruling party officials and operatives remained prominent. The Ethiopian military had banned pedestrians from using the walkways where they installed barricades made of rocks, sand-filled sacks, barrels, and used tires. Behind it lurked soldiers with fingers on the trigger; they panicked if anyone got closer and bellowed to keep them away. People avoided the walkways and paced in the middle of the street, along with the military vehicles and pack animals. Battles had been raging around Dekemhare, a town forty-five kilometers south of Asmara, but no one had dared hope the last three days of intense fighting would mark the end of the long journey of struggle that lasted three decades. Having taken Dekemhare, the rebels had planned for the final showdown with the Ethiopian forces and began to build defenses on the road at the village of Adi Hawsha, close to Asmara. But since they didn’t find any significant resistance, they marched towards the capital city chasing the enemy. Zerom, a popular machine-gunner was with the vanguard of the rebel forces. For a month before it liberated Dekemhare, his battalion had suffered great losses; after that, it had been mowing the retreating enemy forces and continuously gaining territories. Corpses of soldiers remained strewn on the sides of the road, the ravines, and the foothills. No one could tell if the bodies belonged to the rebels or the enemy. In the past, the fighters found it easy to identify the dead by their clothing. Ethiopian soldiers had boots, uniforms and field jackets, while the rebels were mostly in tattered rags and plastic sandals. Now they couldn’t tell from the clothing: it must have been a long time since the Ethiopians received new pairs of uniforms: their clothes looked as bad as that of the rebels. But since the Ethiopians were in a retreat, while the Eritrean rebels advanced, it became easier to distinguish the bodies of friends from foes. They buried some of the dead but left many others in the open; they were too many and the forces had to advance fast to control the few kilometers left to capture Asmara. Carrying a machine gun, and wrapped in bullet-belt, Zerom found himself in the southern edges of the city looking at the streets of his childhood. He felt like crying, overjoyed to have witnessed the end of the war. At the same time, he felt sad for he couldn’t rush to see his parents. His mother had died in his absence, and his father had moved to the outskirts to live in his village when he couldn’t tolerate the tense life of Asmara. Zerom was still in a pensive mood when his battalion started to move; they had an order to occupy the main fortress that served as a camp for the Second Revolutionary Army of Ethiopia. This time the rebels didn’t walk the distance, they had captured enough Ethiopian army trucks to transport them there. Zerom mounted a truck that passed through the city center amid euphoric public singing and dancing. He remembered the streets, and could tell nothing had changed, but he couldn’t recognize anyone among the celebrating crowd as he unconsciously waved his hand at them. The truck passed by a corner close to the sidewalk where he had a fruit stand before he joined the rebellion. It used to be busy with people who carelessly glanced at his stall as they walked by. Some stopped to cuddle an orange, or a mango, like a shepherd cuddles a breast of a goat before milking it. They toyed with the fruits and then they simply dropped them back and left without asking for the price. Now the place looked empty, deserted, unlike how Zerom remembered it; he felt relieved no one had occupied it in his absence. More crowds filled the streets and the truck moved slowly between them, and made a final turn to a street that led to the fortress. Two guard shelters that resembled upright coffins occupied the sides of the gate. Ethiopian military police used to squeeze themselves in them and chastise soldiers returning late from the city after a drinking binge. Now there were no guards. The fort was filled with wreckage and abandoned vehicles and equipment; Ethiopian troops had left everything behind as they escaped on foot to the west, towards Sudan. While his colleagues were exploring their new home, Zerom found a mattress leaning on the side of a building. A soldier had probably thought of aerating it under the sun before he fled leaving it behind; he probably didn’t know he would never sleep in it again when he took it out. Zerom moved the mattress to a shaded area, flung himself on it, and stretched his legs. His eyes felt heavy, he hadn’t slept much for the last two-weeks, only relaxing for a few minutes every time the raging battles slowed down. Now he began to think about the fruit stand and decided to reclaim it soon, maybe expand by renting the store behind it. He had seen enough; his long journey ends here. He went to sleep. Late that evening someone woke him up for dinner, but he didn’t feel hungry or thirsty. He ate a small bread, washed it down with tea, and went back to the mattress to relax some more. This time he didn’t sleep, the incidents he went through for the last seven years came to his head and he drifted into a pensive mood. Zerom vaguely remembers the Ethiopian emperor, he had heard horrible stories about him since his childhood. The reign of the king seemed too far, he felt removed from it, and it seemed to him like fairy tales made alive by his father’s repeated stories. Only hazy memories remain in his mind of the time when the king met his demise by the derg, the Ethiopian military junta under whose rule he grew up. Zerom got lost whenever his father talked about Italian and British rule, two eras that he imagined were set in the Stone Age, long before he was born, long before anyone was born. It could have been when Adam and Eve roamed the world. He had heard the British pushed out the Italians, and many people blamed them for the crisis that followed, and for the ills of the country. They blamed them for being the cause of the decades of war that Eritreans had to wage to regain their country’s independence that the British thwarted. Zerom’s mother had nothing to say in such discussions, she just fumbled her rosary beads and moved her lips in a silent prayer. 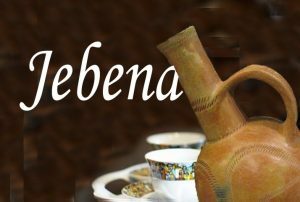 His father sipped his coffee, “Cursed be the British; they gave Eritrea to the king as if it was a bag of fruits.” His parables and examples were all about fruits and vegetables. The wild cactus plant grows abundantly around the city, but even the poor urbanites of Asmara considered harvesting and selling it beneath them. According to them, that was a job fit only for Ethiopians from south of the border, the Agame. No trucks or buses arrived in the city and Zerom depended on smugglers who brought him fruits on pack animals from Keren or Ghindae, two towns located northwest and northeast, an hour away from Asmara. But in a few hours, the fruits rotted and he trashed them and returned home with a loss. Finally, the smugglers disappeared altogether after the Derg soldiers killed three of them near the entrance to the city. Those who survived were frightened and stopped venturing to Asmara altogether; Zerom couldn’t find alternative suppliers. There was no means left for earning bread when everyday news about battles that raged in the outskirts flooded Asmara. People gossiped about a blown up bridge somewhere, and a blocked road somewhere else. Every time a landmine laid by the rebels exploded on a road, the Ethiopians closed the highways for weeks. “This country is cursed,” Zerom had told his father. Zerom had no doubt the Eritrean rebellion was a just fight against the Ethiopian occupation, and he had a reason to hate the occupation troops. They stopped the people for body search and beat them up for trivial reason; sometimes he had to go through five body searches going from home to his fruit stand. Some of his friends had already joined the rebellion and he decided to take action, maybe join the rebellion before he lost his mind. A few weeks earlier, he intervened to save a girl he knew when a drunken Ethiopian soldier harassed her. Since that day, a few soldiers laid their eyes on him, and he stayed in his house for fear of being killed or jailed. Whenever the troops disappeared from the city, he felt relieved. They often went to wage battles against the rebels or to support a besieged force somewhere far. But once they returned to the city, his troubles resumed and he had to hide. Maybe it was time for him to join the rebellion, something he wanted to do since he was a child. Zerom hadn’t worked for months; he had nothing to do in the city anymore and he wanted to leave. Only worries about leaving his parents alone had prevented him from doing so. They have already lost three brothers and a daughter to the rebellion. Two of his brothers had already fallen in combat and he never heard of his sister; but the family received news about his remaining brother only a few weeks earlier. At least he was alive thus far. But if Zerom stayed in the city any longer, he risked unceremonious death at the hands of a drunken or spiteful soldier, which would be more painful to his parents. Every hour was laden with more risks and Zerom looked restless, he didn’t have much time left. For the first time in his life he had been involved in distributing rebel leaflets in the city, and the friend he collaborated with was arrested. A stranger had tipped him, “Your arrested friend has started to talk and you risk being arrested.” Zerom would’ve liked to spend more time with his parents, but he had to leave quickly, he doesn’t want to be killed leaving to the outskirts when the guards are fully awake. They usually sleep until late morning after spending tense, sleepless nights. Zerom acted strange and his father noticed that, but before he could ask any questions, he jumped off his seat, kissed his mother’s forehead and his father’s knees and said, “I have to leave now.” They tried to persuade him to talk to them, but he was out of the door and to the street before that. They avoided following him there fearing a cacophony might invite the attention of the Ethiopian spies. They froze there wondering; they never saw him in such a strange and gloomy mood before. Hardly a day passed in his life in which Zerom didn’t see his parents, he knew he would miss them. They had always been sad about their dead children though they hid their emotions. He remembered all the years his father waited in line at the government stores, the Kebele, each time for hours, to get rations of sugar, oil, and coffee—something that grew in abundance in Ethiopia yet it was always in acute shortage. The same with his mother, she spent her days standing in line behind a blue plastic barrel waiting for the water supply tanker. Zerom couldn’t do anything about that as well, he had to attend to his fruit stand; yet he couldn’t earn enough to help them. It has been a very difficult year and it was hopeless and that is why he wished to see an end to the miserable life, which he had no doubt would end once Eritrea is liberated. He believed the hardships would be over. In fast paces, he walked to the eastern edges of Asmara avoiding the roadblocks and sneaked to the countryside where he met a reconnaissance team and joined the rebellion. He was eighteen. The next day, he set out with other recruits on an epic journey that lasted three weeks, sleeping by day and walking by night to avoid Ethiopian Mig fighters that flew continuous sorties to bomb the countryside. He saw burned villages whose inhabitants had abandoned them to live in wilderness. When he passed through rebel camps, he found people he knew in the city now armed and proudly smiling for being free from Ethiopian control. It is there that Zerom saw a machine gun, up close, for the first time. He touched and cuddled it. He fell in love with it and dreamed of a day when he would wrap himself with a bullet-belt and become a machine-gunner. Throughout the journey, Zerom persevered like an experienced rebel and never complained about thirst, hunger or fatigue. That earned him respect before he even started the military training that lasted for three months. It took three more years before Zerom became a machine-gunner. 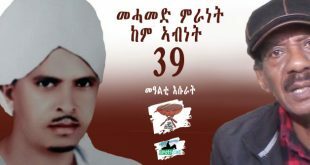 When he entered Asmara triumphantly on the twenty-fourth day of May 1991, he was already an established combatant and a popular machine-gunner. On that same day as he lay on the mattress, he decided to throw the gun away and return to normal civilian life. He believed his job was finished. To his amusement, a few days after independence, the leaders of the rebel organization elevated themselves to de-facto rulers by issuing a proclamation, and formed a transitional government instead of handing power to the people, the main goal of the struggle, as he understood it. By the time the government issued another proclamation to demobilize and relieve rebels who joined just before Independence Day, Zerom had become more skeptical though the demobilization didn’t apply to him. In his heart, he felt that free Eritrea would have so many employment and educational opportunities. Full of confidence, he believed there wouldn’t be a need for the people to carry guns anymore. Thus, he didn’t see a reason why he should not be demobilized like the rest. Though Zerom lived with a shrapnel lodged in his skull, he had downplayed it for fear of being pulled out of the fighting forces. If that happened, he would have been assigned to boring places far from the frontline, and he hated places like the clinic and the supply stores. When Zerom came to the clinic wounded in the head, the doctors didn’t want to operate on him. They found the shrapnel lodged too close to his brain and they feared an operation might kill him. For a few months he stayed at the clinic until the wound healed. Since that day, he knew the piece of metal was destined to live in his head as the commanders thought of assigning him to the rear areas of the frontline. But in the confusion of the wars, Zerom had sneaked out from the clinic and joined his battalion. Two years after he entered Asmara triumphantly, Zerom was thankful they didn’t consider him a handicapped veteran. The government had housed the disabled rebels, who couldn’t be absorbed in the workforce, in a village in squalid living conditions. They were so neglected they demonstrated to publicize their plight, but the security forces sprayed them with bullets. Many who survived the fierce battles against the enemy fell by the bullets of the government they brought to power. The behavior of the government he helped bring to power worsened, and prospects of the future looked grim. Two more years later, the government issued another proclamation and ordered everyone between 18 and 40 to avail themselves for a compulsory training and active military service. It soon began to round up thousands of youth and deploy them across the country to work in construction projects for indefinite periods, without pay. In no time, the entire country turned into a huge military camp and the nation became militarized. From what did you get this “tugrai-tigragn”? there is no such argument that came out in my comments. zeyte-zahfe aytenbib, zereba hilkussat neyw belo. Acknowledging is not simply you claiming that in a forum, it requires institutional reckoning, institutional solutions. People might disagree with me, but I feel the EPRDF has done a good job in launching a healing process, or a long time remedy. What am I gong to do about it? First it is not my business, but I can offer my best wishes, my prayer for what it’s worth, and give my view when warranted. It is good to see you coming down and engaging with the readers. You know that you and I are in unspeaking terms but I will break that code and write you my few cents as to why our Etiopían guests do get offended. As I wrote earlier Eritrea is an independent country but most Eritreas still view Etiopía as the source of their ills. From national service to immigration, their bad economy, political isolation, you name it. 2+ decades on we are still writing about Ona and such. Article after article, comment after comment, written here mention Etiopía in an unkind language or at least do not make any distinction between former successive Etiopían leadership from its people. While knowing fully well that these past leadership were totally detatched from the people. In these unkind tones none of you the big dogs show up to put in some diplomatic cameo appearances. You are simply absent (except of course only to upheld the salutation rule) making it to appear that you are lending your tacit approval. There are many good things that Etiopíans have done to Eritreans, why only the negative? For simply stating facts, I am yet to see Eritreas doing favor to Etiopíans. You are absolutely wrong my dear. I don’t know how long you have been following such debates. But let me defend myself. First, my position about what you complained, and what offends Ethiopians is all in the public domain. I can help locating them if need be. Secondly, I paid dearly for advocating a close relations with Ethiopia and ll neighbors if possible. you have to recognize the historical relations with Ethiopia, it is bitter and its ugly face pops every now and then. No one should be offended in an intellectual debate. If people are overly sensitive, then the solution is not silence. There shouldn’t be taboo issues. 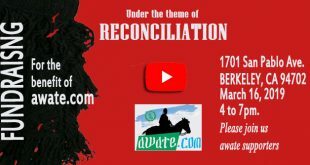 A prerecusite for reconciliation is airing everything out. Once the chest is emptied, the healing process begins, Otherwise, it is all fake. It is not resolved. Importantly, those Ethiopian who are offended are so reckless that they do not know when they are offending others. Still, it is good that they burp everything, yefkoselom 🙂 What I ask for, kindly, is for people to be decent. Decent in dealing with people you do not know. Context is important. Ona was part of a book that chronicles history as I lived and witnessed them. If someone wants me to stop writing because they feel bad, it is bad luck. Is that a rational request at all? I wish I be here more often, but most of our time is spend on baby sitting the perpetual offenders. If you just image the time we spend here, you would sympathize. Again for me acknowledging the pain means to be the master of their destiny and participating in the country’s affairs equally through democratic way. Tplf/ eprdf way is manipulating the pain to divid and rule and add more pain by the way the ormos and ogaden will tell u if u wanna know the truth. Dont just lesson to tplf only .as for tigrai all most ethiopian want from them is to leave us alone and withdrew from welikait territory. 1st is good to know you have tiny fraction of gondara blood 2nd what bigger issues you want me to talk about than democracy, freedom. By the way do u know jebertis stretch from eritrea all the way to gondar city and beyond? Do I know that? Of course I do. Up to Somalia, Yemen, and Saudi Arabia. Before Saleh comes back to you with his responses, Let me give my view: The Ethiopian Issues should be strictly owned by the Ethiopian people, and equally the Eritrean issue should be strictly owned by the Eritrean people. The two sides could only share their views on how we can build peaceful and mutual future relationship. Other than that, it will not be a healthy and productive engagement. How could you do that Emma? I’m a bit at loss. You call for stronger Ethiopian assistance, even military involvement. When the backlash of that strategy is discussed you turn around and say “The Ethiopian Issues should be strictly owned by the Ethiopian people, and equally the Eritrean issue should be strictly owned by the Eritrean people.” How could you call for more Ethiopian involvement in solving Eritrean problem and at the same time become a gentle adviser reminding us to mind each of our own country’s business? Just puzzled. Don’t you see Ethiopia and Eritrea are already entangled in many facets of each others affairs, save the legacy history has left? This forum has always been great in attracting well versed commenters. I think that we are getting tired of the testosterone-laden “my way or the high way” mantra by men comenters, and it is time that our ladies return back to refresh our conversations with their inputs. Women are by nature empathetic and calm, and as we know, they had enriched in the past this website with their balanced and positive comments, and they should knock again at the door of awate.com. Nevertheless, we should not forget that at times their comments were as painful as the bite of a scorpion that sent some people screaming, which of course was enjoyable. I think that we have enough of the battle field cries, and we want to hear the soft and logical voices of our ladies. It will be to the satisfaction of the majority of the forumers. They should know that they cannot complain that women were not accommodated on awate.com and their voices were not heard. we keep praying for long lasting ruling and good health of President Issayas Afeworki. 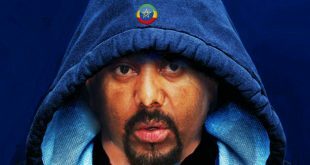 For the last twenty five years,he is doing the hardest job, which is keeping the nation and the people of Ethiopia together and prospers that neither HIS nor Dergue couldn’t able to do for sixty years. Aman is a confused man,flip floper. for some reason Aman is in love with Isayas Afeworki! He says,he is the spokes person of the people,and God knows which people.So,yes he is fake. But But But,we don’t say long live Isays Afeworki,knowing he is bad for the Eritrean people.please don’t focus on the bad apples like Aman and Nitric.there are millions of good people out there. 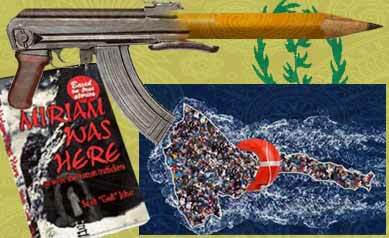 Keep showing the documentaries, publish textbooks and distribute them from kindergarten to university level make horror movies out of them… Make sure “Miryam Was Here” a must read before 5th grade. Good luck. BTW, why do you think ER TV do that? It is not to teach you history. It is to brainwash the young so that they keep suspicious and hate Ethiopia. That is all. A government that closed the only accredited university is busy teaching the captive audience about their history. It’s kinda hard to believe. The other thing you talked about Eritreans don’t ask ethnicity is just an exaggeration. I have a neighbor from Akaleguzay who doesn’t trust Eritreans from other regions. Actually, regionalism among Eritreans is getting wider and wider. Although sometimes I ask seemingly silly questions, I know more about Eritreans than you can imagine. Hello Abi, I’m sorry for ur fiend. Your friend is a sick puppy. 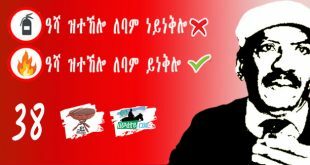 No Eritrean thinks like that. I know Woyanne trying to introduce ethnic politics into opposition but no worries. Opposition will die opposition in diaspora. They will never see Eritrea. Regarding “Miriam was Here” being taught in schools, I am all for that. Especially if the book also presents ELF’s contribution to the armed struggle. I think it should be a required reading for AP English classes in high school in Eritrea. They can read it over two week period, discuss in class every period for two weeks, and write a book report at the end of two weeks and then move on to other books. Over time, if the book is really good, it can be on the classics reading list for junior and senior high schools. It’s good to rotate books for students. The more books on the armed struggle for independence, the better. As far as University of Asmara, there is 11 colleges with different specialties that provide more education to students than just one University center. 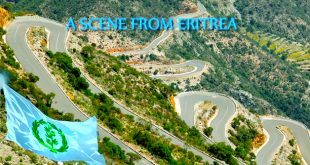 Yes, you do have a lot to learn about Eritrea, but if you get all your information only from opposition websites, you are going to learn the wrong things about Eritrea. Opposition only want to defame and blacken Eritrea. You won’t get the true picture. Happy learning! 1) I promise to advise my sick puppy neighbor to see a vet as soon as possible. I also keep my dog away from him. 2) Miryam was here ” as a must read for high school AP English is just perfect. I recommend the Tigrigna version for middle school. That is how you keep the society informed. Keep them informed by opening as many colleges as possible instead of one leftover accredited university from the brutal Ethiopians. 3) I’m learning a bunch. 4) Keep teaching, informing, tell the truth as ERi TV. I see you have been busy the last few days. One of the folks responding to you said “…..all meticulously documented and are often shown on Eri.TV. Very important to pass history to posterity and successive generations.” This kind of statement always amazes me coming from the elite of the opposition. These are educated people. The reason I get baffled about it is in most cases the same individual was describing the Eri.TV as the arm of the Gov.or Party that is detached from reality and “truth-less” media barely 3 days before. Maybe some will stop and reconsider but I am of the opinion nothing will change until the generations change. The future generations will judge the reality of their time with their own real experiences. Right now just remember, when they point a finger at you THREE of their fingers are pointing back at themselves. I don’t know how to edit so I will add this to my above statement. I forgot to mention it.. I was going to remind you that Copa America and NBA games are on TV. Both are very entertaining. In the Ethio-Eritrean problem, as long as military solutions are out of the question, the peace talks have failed and nobody has the interest to force the implementation of the decisions, you ruled out any solution by the next generation, and we are not going to see good will coming from anyone of the two governments; then what else can one expect for a breakthrough in the Ethio-Eritrean quagmire? Can one conclude that we have reached a permanent dead-end? Let us suppose that the present generation understands the situation according to the present geopolitical and world situation, and the world becomes a different place, let us say in 25 yrs from now on; can we exclude a solution “by and for” the coming generations, which could see the world from a completely different perspective? Why should today’s problem be tomorrow’s problem, and today’s solution be tomorrow’s solution? It’s not my wish, but unfortunately that is how things work. Look at the problems of Nrth Korea (some do not consider it a problem at all) is not generational. The Arab Israeli problem has been around since 1948, it is not generational. The Sunni Shia conflict is 1400 years old. The Indian-Pakistani eyeball to eyeball state is there since 1952. There are many spots in the world with old problems. I believe the following: if root causes are not attended and resolved, generation after generation will keep it alive. No generation will change the facts, but one generation can eventually use correct resolution formulas and resolve it when it reaches maturity and is ready to be resolved, when all the ingredients for success are found. Perspectives do not resolve the problem, they just explain it more. Unfortunately, all of today’s problems are not the making of today, they are inherited. And all of tomorrow’s problems will be inherited. Look around you, it is all inherited problems. I really doubt if we can say that the Ethio-Eritrean problem is similar to and of such weight that it could last generations as the above given examples. The Palestinian-Israeli conflict is existential and due to a complete absence of justice for the Palestinian people, Indo-Pakistani conflict like that of Iran and Saudi Arabia are mainly a matter of regional hegemony masqueraded as religious conflicts. Religions do not really have inherent problems of coexistence, unless they are exploited for political reasons. I do not believe that the root cause of the Ethio-Eritrean problem is of such dimension that it could (should) last generations, until the right generation comes with the right solution. Conflicts, violent or non-violent have consequences on the lives of people who are affected by these. It is difficult to imagine that their predicaments could last generations as that of, for e.g. the Palestinian people. I think I understand what you are saying. However, my point is the Eritrean problem of today is not Ethiopia. Our generational problems were resolved militarily in 1991 and 2000. There should not be any more problems to solve, unless “Badme” is considered a do or die problem that is being made out to be. I don’t think you do. This was supposed to be a period of live and let live, let the wounds heal time. Instead of leaving the history to historians, we always bring up Ethiopia for every imaginable Eritrean current situation coupled with insults, blames and ill wishes. The generations burned, from the 60s to the 90s only heaven can count. That is why I am always advocating for less involvement of Ethiopia with Eritrea in all spheres of influence. Future generations might be able to find their way to a normal neighborly relationship, at least that is my hope. I understand, I was just taking the Ethio-Eritrean obsession since you were replying to Abi. But I agree, there is certainly change of attitude though it may go negative or positive. We have still unresolved issues like what you mentioned, bringing Ethiopia in every Eritrean problem. I agree it is ridiculous and I feel embarrassed by that. However, the Assab qey Bahratchin groupies are equally insane and there are parties dedicated to that. Add to that the alliance of Isaias with certain Ethiopian forces. All of that has history and gets life from the unresolved issues. Why would we bring “Ethiopia for every imaginable Eritrean current situation” is in fact the real question that we could not come collectively to a rationale answer in the opposition camp. 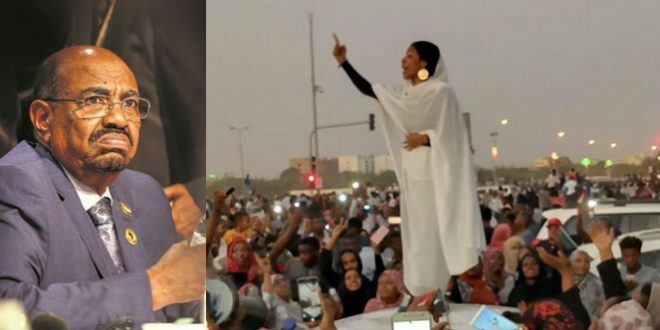 The Ethio-Eritrean hate obsession (exemplified by Abi and Nitric) and the obsession and the use of “hard power” to bring solution to any imaginable problem. As far as leaders found refugee in “ultra-nationalism that easily play in the mind of the general population we will always be the victims of war and side issues. I wouldn’t agree more to your brief reciprocated replies in your take on the issue. At this critical time the border issue should be none-issue to Eritreans and should focus to save our people from the enemy (the cruel regime) that forced them into a perpetual exodus and all real and imaginable risks of lives. Just last week we lost 450 (drowned) of our own in the high sea of the Mediterranean Sea. So Kim’s question is relevant question that should be understood and addressed properly to make a meaningful stride in our struggle. Look who is talking about hate? I bet you were preaching LOVE when you were the mastermind urban mass mobilizer. The 450 people who just lost their lives are the direct consequence of your useless campaign based on hate for self and others. They had a relatively good life until you showed up at their homes, businesses, churches, to recruit them and send them to meda. Self determination leading to self extinction. The Eritrean revolution was not based on “hate”, but rather it was based on the principle of “self-determination” to determine their own fate. One thing for sure I could tell you this: we will live in peace, prosperity, and cooperation as “two nation-state” than as “one nation-state” by force and coercion. History will testify it in the near future. Count my words. It is like two political administrations but marching together for prosperity and economic development. The question is how do we get responsible leadership who understand the new dynamics from both sides to change even the nature of geopolitics of our region. I believe the potential is there for both of us, if we stop this none sense bravado and bigotry. I look forward for positive engagement than criticizing for something what we (I) did before independence. History already gave its verdict and let us move on, on what we can do as two sovereign nations for the good of our people based on mutual cooperation. This is my last attempt to change your mindset and change your attitude for positive engagement. Let’s hope there is a better future for the people. When the dust settles ( whenever that may be), I love to take my boys to their mother’s country. Every time they go to Addis they ask me ” when are we going to see mom’s country”? 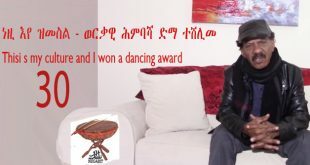 Ato Amanuel, I don’t hate Eritreans at all. I’m mad at them. I want a lasting peace. All the bad news hit ” home”. If you know what I mean? I take it back what I said you add fuel to the fire between Eritrwan and Ethiopian people. Lately I was wondering your perfection of Tigrina, and I am glad to know that our future is intertwined for years to come. As to the visit of mom’s country, I think they can visit anytime, even now in the worst situation the country youth are, visiting the country and people is not a bad option. The only thing you would be cautious about is, if you are known to the PFDJ and you think you may a security threat to them. Other than that, you or your family nothing to fear because they are Ethiopian etc., specially from the people and even the government when it comes to foreigners with dollars to spend. But if not this time, hope it won’t be too long. I was also glad to know that Horizon being to Eritrea / Asmara and hope he had fond memories of the people and the country albeit may be during hard times. Now I am curious about Eyob, may be he has a story to tell. You don’t know about Eyobe? Well, I let him speak for himself. Berhe, in one of the comments you said Abi must be heartbroken by an Eritrean beauty or something like that. I laughed so hard I woke her up. I said what!!?? Really? No one breaks my heart. It’s been almost 25 years and counting. Yes, our lives are intertwined big time going back to my grandfather. He was a big time businessman partnering with sime Tru Hamasenoch and others. Thank you for taking back the fire and the fuel thing. How do you stop this vicious cycle? By writing volumes and distributing it from young to old? Hope was boasting his ten years young cousin knows all the fake or real atrocities of Ethiopians. Just the other day a commenter was proud to tell us there is a nursery song just to curse Ethiopians. Now, imagine Ayte Hagos from Mekele writes a book about the school bombing by Eritrean Air Force and somehow made it to be a must read in the schools. Where do you break the cycle? Which generation is responsible to stop it?Not the current one. No Sir! This one is busy refreshing and documenting the wounds. Indeed it is sickening. You are right, the field you shield be left to you. Eritreans should say nothing. It should be left to you to spread your venom, racist remarks, Arab servants, decreasing a heroic feat of a nation to a project of an Arab messenger. It should be left to you and your equals from our side of the border. This mad cycle will stop when you acknowledge its roots and the pain it caused. This is not an Eritrean only issue, your feudal lords have planted enough injustices all over the place. Look beyond Eritrea, just next door. Who do you think caused the Oromo pain? The Tigrai pain? The Ogaden pain? It’s not Eritreans my friend. Asking the wronged to forget their history is worse than the injustice meted on them. Acknowledge it. first. NB: Consider this my last comment on the topic for now. Nitricc has refused to take over. What is the difference between you and I? I’m an individual. You are an institution with a website. I don’t fly around the world and promote my books or my ideas. You do . Who cares about what I said? I’m a nobody. However, when you say something people listen. When you write a book people read. You are a very informed and influential person with a potential to bring about a positive or negative change depending on your actions. You promote a given opposition group or denounce another or belittle yet another one by calling it a winter project. I don’t have that power nor does Nitricc. I care less what he says at all. You are the one sitting with prime ministers for a cup of mint tea. You are the big kahuna with followers. I am done with this topic. You can continue fanning the fire and pass the torch of grudge and animosity in the name of history. Making money out of it is an added bonus. You must have missed Jemal’s Story in the previous book of the same Author Abi is trying to belittle hopelessly and ignorantly! Abi should fill in the blanks. It is not easy for people like Abi et all to easily grasp and understand the serious and deep message being related by such UNIQUE Authors like SGJ. You sure you want me fill the rest? Hope, there is no deep message in that book. None at all. It is written in such a way that a 5th grader at Ona elementary school can grasp the message. I saw Jemal’s picture at awate.com with a notice ” Most Wanted “. I think it may good idea to have some understanding the difficulty of harvesting Beles in Eritrea. It’s in the outskirts of Asmara called AreberebuE…I don’t the exact distance but I think between 5-10 KM or so.. And it’s in the mountains and not easily accessible, you have to make your way around. There are not like any regular public transportation that go back and forth regularly, it’s on the road towards Massawa. So when you go it’s downhill but coming up is uphill. So the people who harvest, usually carry to basket and they hang it within wooden stick. To make it worth while (the bigger the fruit the better choice./ sell them quickly make money etc) so the stack the basket as much as they can. And in order to reach the fruit, they have this long stick with a Tin can attached to it. And they carry the wooden stick between their shoulders with cloth/town in between to make it easy on the shoulder / neck. So it’s heavy load, carrying that long uphill and with that it’s in the hot season of July/ August (rainy season in Asmara). I don’t know how much they fetch but usually I use to clear 5 to 10 Birr for a basket, say on average they make 10 Birr. And they can only do this trip every other day, because the spend the day selling the fruit. So may be on average they make 50 birr and when you add up, 200 a month Birr not a bad income considering at the time people who were teachers / bankers use to make 500 Birr or so. So someone come and working for few months like that, can make good money. But it’s really pure hard work and it takes a lot of physical too. Now if someone has the option earning money during other means, I think selling Beles would NOT be the first choice…because it’s pure physical demand and not to mention, the pain one must endure, pealing the fruit. I am sure there is similar stories everyone and I can guess even in Addis. There are people who come from other parts of the country to do the hard work the locals would not do…like cutting tree or something. Let me tell you the turn of events, when this local Eritrean men go abroad. I was in Greece when I left Eritrea and they told me there is jobs available to fetch Orange fruits in the outskirts of Asmara. So you have to get up early in the morning around 6 AM and be at a pick up place. So the people would come in their pick up and take people, how many of them they think they need. And you see all this “spoiled” young men from Asmara are lined up to go fetch oranges or tomato, it is hot and you go on and on all day with no end. You get to work with people from the eastern blocks, Polish, Albania, some gypsies, Turkey and North Africa. But you hardly look any Greek person do those jobs, at the time I am sure it may be not the same now. The same can be said about Mexicans in America today. So I think there is nothing wrong with, but that’s what people do to survive. This is an educating comment. I have been only once to Asmara for few days, and I remember the escarpment to the east of the city on the way to Massawa and the winding road as it falls downwards from the edge of the escarpment. I could visualize all the things you described; the topography and the life of a Beles harvester. Thank you a lot. The world is on move. The bygones are bygones. Let’s move on without blaming the past. We have new faces and new environments that need new working relationships. If there will be investor(s) in a Beles juices extracting plant, they can be Eritreans or Ethiopians or joint (business owners). The employees can be Eritreans or Ethiopians or mixed. The consumers can be Eritreans and Ethiopian. After all, in a globalized world (forget politics and forget the Isayasists) trade and communication systems are forging borderless countries where people move freely. Those of you who might be interested in refreshing your memories about what went on either on the eve or at the May 27, 1991 London Meeting under USA’s Herman Cohen could listen to an audio of US Foreign Relations Subcommittee hearing on the events posting to Ethiomedia. It could be interesting to detect what was of crucial significance to the USA at that time as well as what it had gained from the conflict, and what it wanted to achieve after the guns went silent. It just drew my attention as why the audio was released now. The COI has announced that it will release its “findings” to the media on June 8, before submitting its report to the HRC and while Eritrea is on the dark on the contents of the report. Are you saying “Abatu dagna liju qemagna “? My comment is regarding Tegadalay Zerom who is depicted as an accomplished freedom fighter or a liberator. The chapter is dedicated to him not to his family. I hope Tegadalay Zerom will liberate himself from the disease of bigotry sooner than later. Berhe, the book was published long time ago. How come you didn’t read it yet? I am just curious. Could you please compare Zerom’s (and his people ‘s) prejudice on Ethiopians with your prejudice against Zerom and his people? Zerom is a simple country-boy who accepted what life dealt him and took it with pride. His social prejudice is not unique to him, most of our region are its victims. Then critiquing literature requires more than what you are trying to do. I remember how you hit the roof when you read the chapter on ‘Ona’. Unfortunately, people are not required to forget their experience. No sane person can expect the brutality of the battle of Adwa, and the brutal Italian revenge that followed the attempt on the life of Graziani. I feel sad because as anyone can tell you, highlighting these aspects of our life is a literary way is intended to creating more awareness, probably productive debate of what the society needs to address. You mutilated it! Take it easy, Abi. I do remember the “Ona” debate very well. Eyobe and I were on the blue corner while You, Sem, Fanti and T Kifle on the RED corner. It was a hot debate where Fantish confused God to Gadi. Actually, his comment propelled you to post part of the book as you just did today. What was and still is my argument? It is simple. Do not put fuel in the fire in the name of literature. I argued that your book can be used as a propaganda material for anyone who wants to exacerbate the current situation of the two peoples. I even argued against T Kifle that I oppose any book that will be written in the future regarding the school bombing by Eritrean Air Force at Ayder(?) elementary school in Mekele. I urge you and anyone interested in writing to be considerate the negative effects in the future. This has been my stand forever. You also brought the Italians again. Funny, T Kifle also argued the same. The Italians live thousands miles away. Never lived with us or next to us. Never called them brothers or sisters. Regarding prejudice, I don’t prejudge people. I’m lucky to have friends from different ethnic groups. The fact is I have more Eritrean friends than any other ethnic group. When Hope gave us the list of high achieving Eritreans, I told him how many of them I personally know. I have also tried my best to nudge the zombies from their dip coma. It is my way of telling them that they are indangered species. I know it is not politically correct. Sorry, that is Ras Abi. You have known me for years. Politics and political correctness are not my things. I tell is as I see it. Rest assured the story that Ato Saleh penned authentic to the feeling, thinking and way of life of the people. He has not exaggerated or manipulated it. The characters relate to us very well. You may not like it or condemn it, but that is how it is. 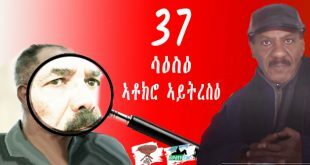 Perhaps if you were to read the books by Dejazmach Girmachew Tekle Hawaryat, you would find the same sense of “inflated ego and uniqueness gura” in abundance. The point I’m trying to make is we have to break the habit of inculcating all the bad things in the minds of the young generation. We are creating a vicious circle of bitter and hateful society. I think the damage is already done. Too bad. Mesgeno deHan alekhu. I actually belief writing books with well developed characters helps show the prejudice of people. If such books are not written, the only reference we have will be the memories of our families, and who wants to dissect/discuss the actions and thoughts for their family members with another person? It is easier to put things in the historical context, discuss and leave it behind if it is in a book. What I find amusing about this Beles thing is that, here is somebody who is disparaged and vilified for collecting and selling it, but at the same time eating beles is in no way derogatory. This brings to mind the different craftsmen in feudal Ethiopia, who were ridiculed and insulted for their profession, while at the same time everybody used their products, e.g. leather goods, metal products, etc. “…You think those in power are enlightened? Maybe a few would laugh at the ignorance of their ancestors but many perpetuate it. They despise creative people because they create beautiful things and they must control spirits to do that! They treat artisans as outcasts and that is why the officer was terrified for jailing my friend the anteregna; to him the profession is synonymous with witches and buda. Imagine the scorn the craftsmen and traders endured under the peasant kings,” Srnji said. Maybe artisans were not only despised but also feared. The peasants could have accused them of being buda to justify their jealousy. The Abyssinians could not get rid of the artisans, because they needed their skills to keep the little civilization around, but at the same time they didn’t want to allow people who controlled spirits to live among them. To solve the dilemma, they improvised a painful cure, a ritual to cleanse the buda and get rid of the spirits they controlled. They would lure the suspected buda to sit in a low chair that had a concealed sharp spike fixed on it. The unsuspecting buda sat on the nail with all his body weight and the sharp object pierced their buttocks, making them cry in pain. That cry was a declaration that the buda was cleansed and purified of evil spirits; he could then live among the peasants. Hospitals and doctors stood helpless in dealing with buda demons and spirits. By sharing this you reminded me my early philosophy about Buda. I have a very wonderful hypothesis about Buda and how it controls the spirit. May be I will share it in the future in case it might help. Do you think Buda-ism (practices of Tebib-binet) is part of hypnosis? If yes, anyone can acquire the power of controlling others mind by reading “You forever” by Dr. Rampa, who made the practice of hypnosis (hypnotism) scientific. I find this phenomenal so fascinating. I visited Meqele few years ago and I was just taken by how much Eritrean TV dominates there. I remember an incident in a hotel where people were gathered to watch TV (Eritrean TV) and someone who was visiting from Addis requested the owner if he would switch the channel to an Ethio TV (I think he said, there was an important program he wanted to watch.) Everybody looked at him as if he was asking for their kidney. Apparently that is a no! no!. What else? I also learned that in fact in the nearby the boarder citifies like Adwa, and Adigirat , no one watches Ethio TV. I also observed that, though Eritrean TV is accessible in Addis, most of Tigrawoyt don’t watch it ( My observation might be limited to the few people I know.). Though I don’t know many in the diaspora, I presume not many people watch it as well. I wouldn’t read too much into it. 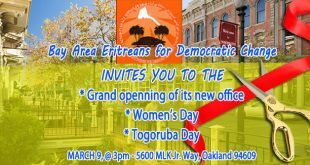 Besides, do you see any difference between the Tigrinya program of the two countries? They start with Khuda and finish with Khuda… and in between heavy dozes of Ghedli and the promotion of military culture (though the PFDJ is way into it). I wouldn’t know the difference if I didn’t see the logo in the screen. In Ethiopia I saw that the people are too much into MTV and talkshows and in Eritrea you find them glued to Turkish soap operas. It taste cahnegs with the launch of new shows. I think. Since there is no researched findings, our observations are just an indication and could be very different. The guy is telling you what he witnessed and you are telling him to disregard it rather than giving him possible explanations . Hatred of the PFDJ should not blind-fold you about the achievmentsts of Eritrea and Eritreans. -The Eri Movies and Spmgs are the most watched and the most enjoyed ones in Tigray. But the bitter truth is simply coz the EriTV and Eri Artists do a very good job noayyer what and irrespective of what! Let us call the spade,a spade besides giving credit to where it belongs to. 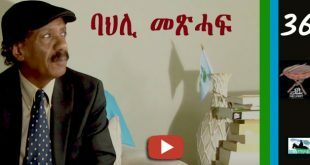 The sad thing is that the Tigrawot are abusing the effort and hard work of the Eri Artists by duplicating and selling the CDs and the Movies of the Eri Artists,which is more than Illegal and beyond Copy Right abuse as has been explained and documented by a certain Western Journalist some time ago. What if that is my “possible explanation”? Does it have to be to your liking? I gave my explanation, you can give yours and we are in peace. I agree with you and I think this is not only the problem in our region. Even those considered “highly civilized societies” have done it in the past. For example the Jewish were treated the same way in Germany (even though they did most of the work that the Germans needs, book keeping, shop keeping etc). We just have to learn the context it was in and we need to move on and learn from it. Two African fruits, banana and prickly-pear (Beles). Most of us don’t know about their benefits. -Those who eat prickly-pear (Beles) are in good control of their high blood pressure and prostate enlargement as well as are colitis, ulcer and prostate cancer free. The benefits of prickly pear extracts (cactus-juice or Nopal cactus) are widely recognized by medical practitioners, nutritionists and herbalists. The following four sources, for example, indicate that prickly pear juices help to control blood pressure, blood sugar levels and other benefits. 4-livestrong-com: What Are the Benefits of Cactus Juice? What is wrong if I am Gondere and told you to never to identify me as a Gojjame? I know you are trying to claim the higher moral ground while you are feeding the bottom. Not good. If an Eritrean wants to be identified as Eritrean and never to be confused with Tigryan or Agame; then so be it, he/she has good given right to say so. I know it is hard for you to accept but no African citizen has invested as heavily as an Eritrean i.e. an Eritrean have more right to declare his identity unambiguously. Point? Eritrean is an Eritrean and Tigrian is an Ethiopia; so no mixing here. The condescending attitude has a long history in the primordial rivalry in Abyssinia led by feudal and warlords. When the Italians colonized Eritrea, the economic situation of the locals improved relatively though it was by serving the Italian colonizers. People from Tigray started to flock in search of jobs and then the Italians treated them as Trump would treat the Mexicans though they do all the vital jobs. Then comes Capitano (?) Barba, the notorious Italian immigration officer whose job was to deport “illegal aliens”, workers from Tigray. He did that is a very humiliating and cruel manner, dropping most of them close to Adi Grat as an elder once told me (there are many versions of this story). So, the Italian task was to search for “Agame” illegal aliens. And “Agame” became a derogatory word attached to workers from Tigray just like “wetbacks” is attached to Mexicans in the USA. Sorry again, “My” shouldn’t be there. trying to clear the mess (spelling error), I made it Messier. My sorry for misspelling; it should be “Zerom The Liberator”. “Zerom the Libarator” depicts the roots of the story of our people’s post-independence predicament through the pen of a gifted novelist’s imaginative erudition. You could edit your comment at any time by hiting the edit button at the bottom of your comment even after posting it. That is what we are doing all of us. Commenting from iphones has all kind of errors. 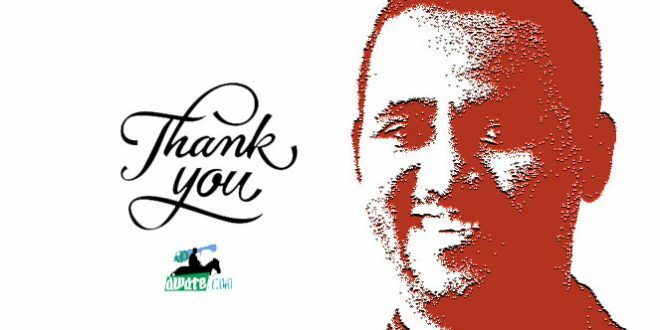 Thank you Amanuel. I appreciate your help. I am a novice to the forum and didn’t know what you have kindly told me.